In a previous article we talked about determining how much stock you should have on-hand using the 15% rule, and now we’re going to talk about how to set your pars to keep those levels right where they should be week after week so that you can free up capital and run lean numbers month after month. I find that many managers I work with have a vague idea in their heads what needs to be ordered for the week, but as I mentioned in the last article, these same managers are screwing this process up because they believe they need more on-hand than is necessary. WAY MORE. Don’t take this process of setting up pars lightly. Setting pars can be a bit time-consuming, but it is a process that needs to be set-up if you want to run your place like a business and not just a bar. If you have a quality inventory management system, setting pars is easy, but even if you don’t, you can view the spreadsheets you use to take inventory to determine how much usage your bar goes through for each product. If for some reason you don’t keep good inventory records (which you’d better start), you can go to your POS back-office and run a sales data report to see what has been selling the best. 1L Bottle of Stoli = 33.81 oz. Portion size = 1.5 oz. 750 ml bottle of Kendall Jackson = 25.36 oz. Portion size = 6 oz. Portion size = 16 oz. Figuring usage by POS sales data is more time consuming than using your inventory data, but as you can see, it is still possible. As per the example above, you must determine how much product you are going through per week in order to set up accurate pars. I recommend taking the past 12 weeks, as this allows you to go far enough back to get a big picture of what is being used while at the same time seeing recent trends. Using the math in examples above, we simply need to divide by 12 to figure out how many containers per week are being used. This depends on your comfort zone. Some managers I work with can’t stand the idea of running out of anything, so they need some cushion in order to sleep better at night. Others are fine running out once in awhile, as long as it doesn’t happen over and over. My recommendation is to right down the middle and multiply your weekly usage of each product by 1.75, but let’s say you are a nervous Nelly and want to have plenty on hand, 2 times your weekly usage would be plenty, yet most bars have products with 10 times their weekly usage on-hand and it’s just plain unnecessary. This does not always work perfectly when you need to order by the case. 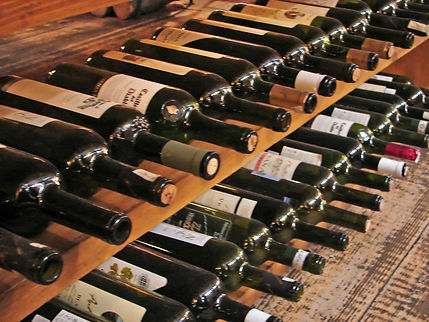 For example, wine and bottled beer is almost always ordered by the case, so for Kendall Jackson, you par might be 8, but if you have 4 on-hand, you can’t just order 4 bottles, so although it isn’t a perfect science, it will help you be more efficient, which leads us into the final step. Setting the re-order point for your products is not detrimental, but it’s definitely helpful. What is a re-order point? This is the point your stock reaches that alerts you it’s time to order more product. Again, good inventory systems have this built in, but you can still do it manually and it will make your life easier. Using Stoli from the above example, we have determined that the par for Stoli is 6. You might say that once the count for Stoli reaches below 3 that it is time to order more. I used 3 here because this bar is going through 3.64 bottles per week, so you want to make sure the levels don’t get too low before you order. So here, 3 would be your re-order point for Stoli. That’s it, now go get started on setting your pars. It’s time-consuming, but it’s your job, so take action. If you use Bar Patrol, we set it all up for you, because that’s our job. Either way, let’s do our jobs and run our bars lean and mean like successful businesses do.